Georgetown University's MCH Navigator and NCEMCH are pleased to present this list of online trainings and resources for use by the Title V workforce in communities across the country. We support CityMatCH's mission to strengthen public health leaders and organizations so they in turn can promote equity and improve the health of women, families, and communites at the local level. 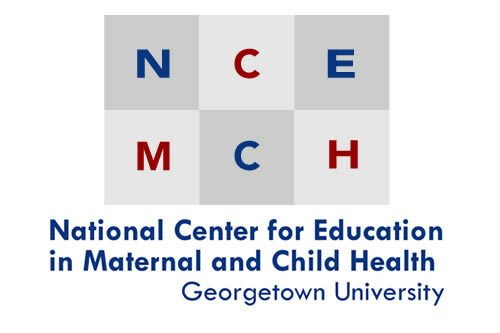 While all of the learning opportunities in the MCH Navigator support the diverse range of professionals needed to carry out the mission of the U.S. Maternal and Child Health Bureau (MCHB), this Training Brief focuses on those skills needed in communities as identified by CityMatCH's Strategic Work Plan. Community Partnerships and Perspectives-Basic Level. Date Developed: Unknown. Source: South Central Public Health Partnership. Presenter(s): Linda Usdin, Ph.D. Format: Online Course Video. Community Partnerships and Perspectives-Intermediate Level. Date Developed: Unknown. Source: South Central Public Health Partnership. Presenter(s): Linda Usdin, Ph.D.; Anne Witmer, M.P.H. ; Theodore Quant. Format: Online Course Video. Community Partnerships and Perspectives-Advanced Level. Date Developed: Uknown. Source: South Central Public Health Partnership. Presenter(s): Linda Usdin, Ph.D.; Anne Witmer, M.P.H. Format: Online Course Video. Magda Peck Leadership Symposium: The Intersection of Community Leadership, Justice, and Health. Date Developed: 12/14/2012. Source: U.S. Maternal and Child Health Bureau. Presenter(s): Tricia Rose, PhD. Format: Video Lecture. 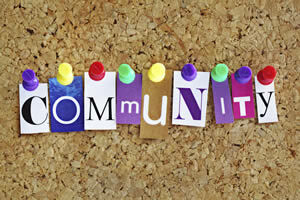 Maximizing Community Stakeholders' Engagement. Date Developed: Unknown. Source: CityMatCH. Presenter(s):Tom Wolff, PhD. Type: Narrated Slide Presentation. Level: Intermediate. Length: 35 minutes. Capacity Building Webinar #1: Putting Your Public Health Program on the Right Path with Formative Evaluation. Date Developed: 1/1/2010. Source: National Association of County and City Health Officials, CityMatCH. Presenter(s): Carolyn Cumpsty Fowler, PhD, MPH. Format: Webinar Archive. Capacity Building Webinar #2: Steering your Public Health Program to Success with Process & Outcome Evaluation. Date Developed: 9/16/2010. Source: National Association of County and City Health Officials, CityMatCH. Presenter(s): Thomas Chapel, MA, MBA. Format: Webinar Archive. Data Collection for Program Evaluation. Date Developed: 1/1/2009. Source: Northwest Center for Public Health Practice. Presenter(s): Luann D’Ambrosio, Med; Sandra Senter, MN, MPH. Format: Online Course. Heartland Centers: Quality Improvement and Evaluation. Date Developed: Unknown. Source: Missouri Institute for Community Health, Kansas TRAIN. Presenter(s): Marty Galutia. Format: Online Course Video. Introduction to Program Monitoring and Evaluation in Maternal and Child Health: Session One – Monitoring & Evaluation: What? When? Who?. Date Developed: 2012. Source: South Central Public Health Training Center. Presenter(s): Francoise Grossman, RN, MPH. Format: Video Slide Module. Introduction to Program Monitoring and Evaluation in Maternal and Child Health: Session Two – Program Description and Logic Model. Date Developed: Unknown. Source: South Central Public Health Partnership. Presenter(s): Francouise Grossmann, RN, MPH . Format: Video Slide Module. Introduction to Program Monitoring and Evaluation in Maternal and Child Health: Session Three--Process Evaluation. Date Developed: Unknown. Source: South Central Public Health Partnership. Presenter(s): Francoise Grossmann, RN, MPH. Format: Interactive Modules. Introduction to Program Monitoring and Evaluation in Maternal and Child Health: Session Four--Outcome Evaluation. Date Developed: Unknown. Source: South Central Public Health Partnership. Presenter(s): Francoise Grossmann, RN, MPH. Format: Interactive Modules. Program Development and Evaluation. Date Developed: 1/1/2011. Source: New York New Jersey Public Health Training Center. Presenter(s): New York New Jersey Public Health Training Center. Format: Online Course. Evaluation is addressed by MCH Leaderhip Competency 1S4: Assessing Program Effectiveness. For a full listing of learning opportunities with annotations from the MCH Navigator database, click here. Diversity and Health Equity Training Brief. This Training Brief presents online trainings and resources for use by the Title V workforce in approaching diversity as a way to address health disparities, health equity, and removing barriers to care. The MCH Leadership Competencies present a conceptual framework for this issue. Upstreamists & Community Health Detailing: How Re-Imagined Workforce and Community Engagement Models Can Improve Healthcare and the Social Determinants of Health. Date Developed: 1/21/2014. Source: Agency for Healthcare Research and Quality. Presenter(s): Rishi Manchanda, MD, MPH. Type: Webinar Archive. Level: Intermediate.Length: 60 minutes. Community-Based Participatory Research: A Partnership for Public Health. Date Developed: 1/1/2008. Source: Michigan Public Health Training Center. Format: Webinar Archive. MCH Epidemiology Training Bundle. This Training Bundle offers learning opportunities related to the field of epidemiology and includes trainings for those new to the topic as well as seasoned MCH professionals. It covers the principles and methods of epidemilogic investigation including describing the patterns of illness in populations and research designs for investigating the etiology of disease. Perinatal Periods of Risk: Using Data and Community Involvement to Prevent Infant Mortality. Date Developed: 4/12/2011. Source: U.S. Maternal and Child Health Bureau. Presenter(s): Laurin Kasehagen, Ph.D., MA; Carol Gilbert, M.S. Format: Webinar Archive. MCH Orientation for Staff of Local Health Departments and Related Programs. These training resources were selected from the MCH Navigator to orient staff of local health departments and related programs (e.g., Home Visiting, Healthy Start, Community Health Centers, Tribal MCH) to core MCH concepts, programs, and strategies. MCH Orientation for Members of Advisory Boards, Work Groups, Committees, or Community and Advocacy Organizations. These training resources were selected from the MCH Navigator to orient members of advisory boards, work groups, committees (e.g., Home Visiting, Healthy Start, Community Health Centers, Tribal MCH), or community and advocacy organizations (including families) to core MCH concepts, programs, and strategies. Maternal and Child Health Community Centers: Background. Date Developed: 2011. Source: Johns Hopkins Bloomberg School of Public Health. Presenter(s): Holly Grason, MA. Format: Narrated Slide Presentation. Community Health Centers: Training List (trainings drawn from the MCH Navigator database). Community Health Centers of Arkansas Presentation Video. Date Developed: 2010. Source: Community Health Centers of Arkansas, Inc. Presenter(s): Community Health Centers of Arkansas, Inc.. Format: Video.